Join Bozeman Business and Professional Women, community leaders, and all those dedicated to economic fairness and gender wage equity at the Bozeman City Commission Meeting on Monday, April 1st, as we commemorate our Equal Pay for Equal Work Resolution in recognition of National Equal Pay Day! Tuesday, April 2, 2019, is Equal Pay Day, the date that symbolizes how far into the year women must work to earn what men earned in the previous year. Women need to work an extra 3 months a year to earn what men earn in 1 year. What: Bozeman City Commission MeetingWhen: Monday, April 1st, 6:00PMWhere: Bozeman City Commission’s Chambers, 121 N. RouseWhy: To advance economic fairness for women, families and our community by closing the gender wage gap. The Equal Pay for Equal Work Resolution (attached) encourages the City Commission to:1) recognize Equal Pay Day each year,2) lead by example by expanding their own wage data collection so as to facilitate analysis of wages by gender to assess whether gender-based compensation disparities (wage gaps) exist within City occupations, as was accomplished by the recent Montana State Employee Pay Equity conducted by the executive branch of the State of Montana,3) and to partner with the community to adopt measures to identify and close the gender wage gap among their work forces. The Equal Pay for Equal Work Campaign is an important opportunity to increase economic fairness and opportunities in our community. Following the lead of Montana Governor Bullock, who created a Montana Statewide Task Force on Equal Pay for Equal Work in 2013, BBPW has been working to educate our local community and close the gender wage gap with Equal Pay Day community events like the Equal Pay Day Discount Campaign, where 12 local businesses (attached) will be giving women 20% off select products and services on April 2nd. While we are aware this will not make a dent in annual pay discrepancies, we are happy the community is pulling together to raise awareness of this important issue. Pay for Equal Work is to strengthen Bozeman’s working families and open better opportunities for women in the workforce by continuing the partnership of the Bozeman City Commission to address gender wage gaps. We are celebrating the fact that the Commission has adopted the Equal Pay for Equal Work Resolution in order to lead by example and to encourage citizens, businesses, and organizations in our community to adopt measures that work to close the gender wage gap. The Downtown Bozeman Association and Downtown Retailers along with our gracious community sponsors; ABC/Fox Montana, Bozeman Daily Chronicle, SCS Unlimited, Allegra Printing, Bozeman Magazine and are proud to present the 2019 Bridal Walk on Saturday, April 6th from 11am to 3pm on Main Street in Downtown Bozeman. Plan your Montana Wedding in the heart of Downtown Bozeman! We are rolling out the red carpet for brides and their entourage in Downtown Bozeman! Stop by the Baxter Hotel any time the day of the event and receive a Booklet/Map and a bag of goodies to help you on your way! CLICK HERE for the 2019 Bridal Walk Booklet/Map. Then, stroll Main Street and discover nearly 50 participating businesses listed below that can help you with all your wedding needs. Find everything from dresses, rings, invitations, flowers, gift registries and more. Participate in the 10th Annual Photography Contest at The Rialto Theatre and partake in wine, cake and hors d’oeuvres tastings along the way. All brides and friends also have the chance to win many in-store giveaways and raffles including a $500 shopping spree to be used at any of the participating businesses. The Photography Contest is a MUST stop during the Bridal Walk! All photo entries are taken and submitted by local and regional photographers and will be displayed at The Rialto at 10 West Main St. during the Bridal Walk Event. Along with the amazing photo entries, each photographer’s contact information (flyers, cards, etc.) and voting ballots will be on-hand for voting and wedding planning needs. Awards, prizes and acknowledgement will be presented to the winners of the top 3 images. Help us give these incredible photographers the recognition they deserve while finding the perfect one for your wedding look! Same-Day Registration will be held at The Baxter Hotel (in the upstairs Ballroom) at 105 West Main Street from 11am to 3pm and maps and booklets can be picked up at any of the participating businesses 2 weeks prior to the event. Additional event information including vendor registration can be found at www.downtownbozeman.org or by calling 406-586-4008. This event is FREE of charge and will go on rain or shine. Tap into Montana and the Montana Brewer’s Association have teamed up for the 5th Annual Tap into Montana Brew Fest happening April 13th in Livingston. Twenty-nine Montana breweries will gather at Miles Park along the Yellowstone River to serve up samples of their brews to beer lovers from around the state. The celebration of Montana craft beer kicks off with a week of craft beer related events throughout Livingston happening April 7th-13th and culminates with the brew fest taking place from 3-7pm on Saturday the 13th with a VIP hour from 2-3pm. “This partnership just made sense for us,” said Tap into Montana Co-Founder and Producer, Rachel Anderson. The Montana Brewer’s Association is a statewide association of breweries organized for the purpose of promoting the production and sales of the freshest and highest quality Montana made beers. The MBA currently hosts three Rendezvous Beer Festivals throughout the year. “We couldn’t think of a more natural partner to help us continue to grow this already established event.” A portion of the proceeds from this year’s brew fest will benefit both the MBA and local community organization Montana Matriarch. “Tap into Montana has proven to be a well-organized, successful event that our brewery members love being part of. We are thrilled to be partnering with them for this year’s brew fest.“ said Matt Leow, Executive Director of the Montana Brewer’s Association. Live music performances by Chad Okrusch and Friends with local favorites, The Fossils headlining the stage. Local food will be available for purchase from Zac’s Montana BBQ, Farmgirl Pizzeria, and The Office. New this year will be the Ale-Lympics featuring feats of strength and competitions by brewery industry professionals. Entrance into the brew fest includes a sampler glass and unlimited samples (no tokens or tickets required). Regular admission tickets are $30 in advance, $35 at the gate. VIP tickets are $100 and include entry into the brew fest an hour early as well as entry into the VIP/Brewer’s Dinner event the night before brew fest at the new Neptune’s Taphouse and Eatery with free beer from Neptune’s and Katabatic, a catered dinner and a chance to hang out with brewers from around the state. A limited number of VIP tickets are available. Tickets are on sale now at www.tapintomt.com or can be purchased locally in Livingston at Markouture, Katabatic Brewing, Neptune’s Brewery, and The Office Liquor Store. WindRider Shuttle will be providing a free shuttle service to the brew fest from several locations around town between 1:30 and 7:30pm. Stops at The Buckhorn, Neptune’s Brewery, and The Office Lounge will run on a loop all afternoon. In addition, special room rates are available for those traveling from out of town at the Yellowstone Pioneer Lodge. YPL will also provide shuttle transportation to and from the brew fest. Special Beer and Food Pairings at The Murray Bar all week long. Sponsors of this year’s event include: Opportunity Bank, Montana Press, Markouture, Golden Entertainment, Neptune’s Brewery, The Office Lounge an Liquor Store, Katabatic Brewing, Livingston Home Outfitters, Montana Brewery Shop, Woods Rose Market, Granite Sports Medicine, Berkshire Hathaway, The Spur Line, Midway Rental, and Yellowstone Pioneer Lodge. Tap into Montana will be hosting a kick off event at Katabatic Brewing on March 22nd with live music from Shelly Besler Kersbergen. Applications are now being accepted for a free summer journalism camp for high school students on Montana State University’s campus. The camp will run from July 7-12 and includes lodging and meals on campus. For details and a link to the online application, please visit http://ato.montana.edu/ywpjour/. On March 14th, 2019, the Children’s Museum of Bozeman became the Montana Science Center and released their new logo. This name change comes as the next phase to develop a center where families in the community come together to learn and play in science and technology. Since 2001, the Montana Science Center, then as the Children’s Museum of Bozeman, has brought hands-on play, learning and collaboration to the greater Bozeman community. In 2016, the Museum opened the STEAMlab, founded by Richard Harjes, which is a high-tech maker space focusing in self-directed high tech learning in coding, robotics, 3D design, mechanical engineering and more. Growth in STEAMlab programs has elevated the ways families interact with the Science Center and drove the Children’s Museum to create more elaborate and extensive exhibits focused in technology and science. The Montana Science Center will continue to offer unique experiences for full family engagement in play, with an increased focus in areas of science, technology, engineering and a more distinct focus on local women in STEM careers. represent areas of STEM. These areas of activity focus in topics such as insects, physics, electricity, building, maker-activities and more. Imaginative play still forms a critical role throughout the Science Center as a way to incorporate activities for the youngest visitors. Additionally, programming has been added to provide learning opportunities for students of all ages, visiting from throughout Southwest Montana. In order to provide access to all families in our community, the Montana Science Center partners with several other service organizations such as Thrive, Youth Dynamics and AWARE to provide free or reduced admission. The Museums for All program allows anyone with an EBT card and ID to gain a reduced admission as well. The Montana Science Center welcomed several community members to the Center on March 14th, to celebrate Pi Day, and to release the new brand identity, completed by Prime, Inc.
As Executive Director, Abby Turner, stated, “We have seen a significant increase in the focus in STEM activities in our community and schools over the past several years, and we have found a desire from our community of visitors to elevate our exhibits and programs. Therefore, we are very excited to bring even more family collaboration in science and technology to our community.” The staff at the Science Center have worked to expand their programs and offeringsin order to meet the community’s growth. In addition to the name change, the Science Center is actively looking for a new location. With this new location, they expect to add significant space to their exhibits, classrooms and STEAMlab in order to meet the growing demand for activities in STEM. The location of this new space has not been finalized, but a move will happen within the year. 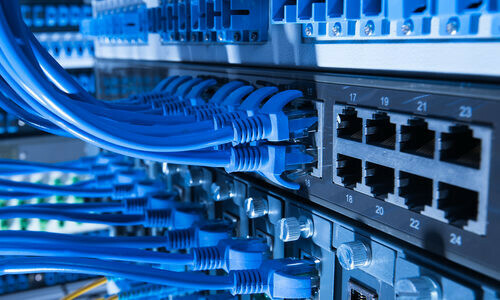 The current location is open Monday - Saturday from 9:30am - 5:00pm. A new website at MontanaScienceCenter.org will be up and running within the month. Abby Turner can be reached at director@montanasciencecenter.org or at (406) 522-9087. The hotel’s location will attract a broad spectrum of outdoor enthusiasts, with Yellowstone National Park as well as Big Sky and Bridger Bowl ski resorts at its doorstep. In addition to Bozeman’s premiere outdoor offerings, which extend to incredible biking trails and fishing adventures, the city is also home to a vibrant art and music scene. The National Guard Armory building was constructed in 1941 and is on the National Register of Historic Places. 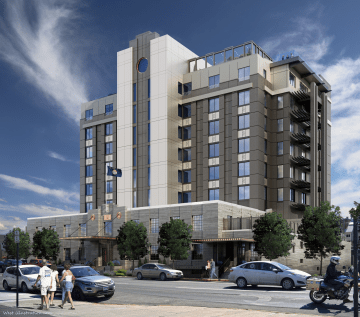 In keeping true to the building’s history, the design will retain the original Art Deco style created by famed Bozeman architect Fred Willson. Kimpton’s Global Senior Vice President of Design Ave Bradley will spearhead the renovation, in partnership with Venue Architects, MarkZeff Architecture and Interior Design and Studio R Interiors. Other recent Kimpton adaptive reuse projects include the Gray Hotel in Chicago, the Schofield in Cleveland and the De Witt in Amsterdam. The project bears close affiliation with local adventure travel company Off the Beaten Path as its CEO, Cory Lawrence, is included among the partners of Etxea (“et-she-a”) Hospitality, the development company responsible for the project. Kimpton co-founder and former CEO Tom LaTour is also a partner on the project. Renderings of the project can be found here. Etxea Hospitality LLC is a development firm dedicated to bringing hospitality experiences to unique places that, through their design and operational style, authentically reflect the character and nature of each locale. Based in Bozeman, Montana, the firm is comprised of five principals with vast experience in all facets of development, hotel operations, and adventure travel. San Francisco-based Kimpton Hotels & Restaurants is the original boutique hotel company, which pioneered the concept of unique, distinctive, design-forward hotels in the United States in 1981. Anchored in one-of-a-kind experiences, Kimpton now operates more than 60 hotels and 80 restaurants, bars and lounges across urban locations, resort destinations and up and coming markets in the United States, Europe, Caribbean and Greater China. Kimpton spaces and experiences center on its guests, offering inspiring design that evokes curiosity to forward-thinking flavors that feed the soul. Every detail is thoughtfully curated and artfully delivered, so that guest experiences remain meaningful, unscripted and ridiculously personal. Kimpton’s employees, empowered to provide heartfelt service and experiences, have built a highly regarded workplace culture that appears consistently on FORTUNE magazine’s “100 Best Companies to Work For” list. The 2019 Record Store Day celebration at Cactus Records & Gifts starts the moment the 2nd customer gets in line outside of the doors, which open at 9 AM on April 13th, and wraps up when the doors close (approx. 7pm). Cactus Records has participated in the event since its first year, April 19th, 2008, and every year Cactus features live in-store music performances. This year will feature performances by Wire Rider @ 6pm, The Dirty Dirty @ 5pm, The Dusty Pockets at 4pm, The Million Sellers at 3pm, Bigsby Jones at 2pm, Laney Lou & the Bird Dogs (new album early release listening party/meet-and-greet/short live performance) at 1pm, and Elisha G.A. Mann at 12 noon. Those of us at Cactus humbly submit that if you're not there, well, we hate to say it, but you might be square. In between, attendants can expect to find access to hundreds of limited-edition Record Store Day and regular inventory releases, experience lots of live music (starting at 12 pm), killer sales, an opportunity for music hunters to listen to and show off their trophies at the Burn Box after party at the Rialto starting at 8 pm, and as always, the ever-renewing love Cactus Records has for its oh-so-special and unique customers. And that’s not all! There will also be great deals from a number of generous Bozeman businesses, including Burger Bobs & the Cannery, Pickle Barrel, free beer from the fine folks at Montucky and MAP brewing (provided you’re 21 or older! ), breakfast sausages & hot dogs for sale from Lotte Dogs mobile hot dog stand, and shockingly generous giveaways, special sales, and other expressions of Cactus’s profound love and admiration for you, their customers. In addition to all the in-store fun, Record Store Day also means the release of hundreds of exclusive pressings of LPs (and EPs) by The Grateful Dead, Dr Dre, Iggy Pop, Pearl Jam, the Death Grips, Bill Evans, Queen, Prince, The Raconteurs, Kool Keith, Wes Montgomery, The Rolling Stones, Jeff Tweedy, The White Stripes, Anderson Paak (and his band the Free Nationals) and countless more! To find a full list of these releases go to https://recordstoreday.com/SpecialReleases?view=all . 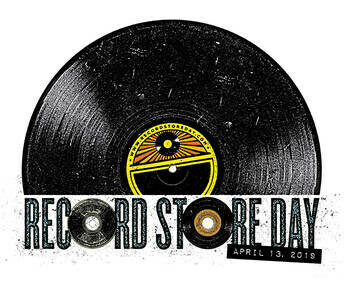 On April 13th, Cactus Records will be just one of the hundreds of stores around the world helping bring music lovers and their local, independent stores together for the annual Record Store Day celebration. Now in its 11th year, Record Store Day has been described by its creators as "a way to celebrate and spread the word about the unique culture surrounding nearly 1400 independently owned record stores in the US and thousands of similar stores internationally." Traditionally, each year an artist has been declared "Record Store Ambassador", a post previously held by St. Vincent, Ozzy Osbourne, Iggy Pop, Dave Grohl, Metallica and this year by Pearl Jam. Cactus Records would like to thank all of their sponsors who were generous enough to donate goods and services to this year’s celebration of Record Store Day, including Map Brewing, Montucky Cold Snacks, the Pickle Barrel, Haufbrau, the Cannery, the Filling Station, Fire Artisan Pizza, the Whittier Parent Advisory Council, Country Bookshelf, Cosmic Pizza, jam!, Bozone, Bozeman Magazine, SLAM festival, Movie Lovers, Lotte Dogs, the Rialto and the Burn Box, all of the bands that will be performing in store, and of course, you. Cactus Records & gifts is located at 29 W. Main St. in downtown Bozeman and online at www.cactusrecords.net. An organism that lives in a smelly cauldron in Yellowstone National Park has yielded new information about how its ancient relatives might have survived without oxygen. 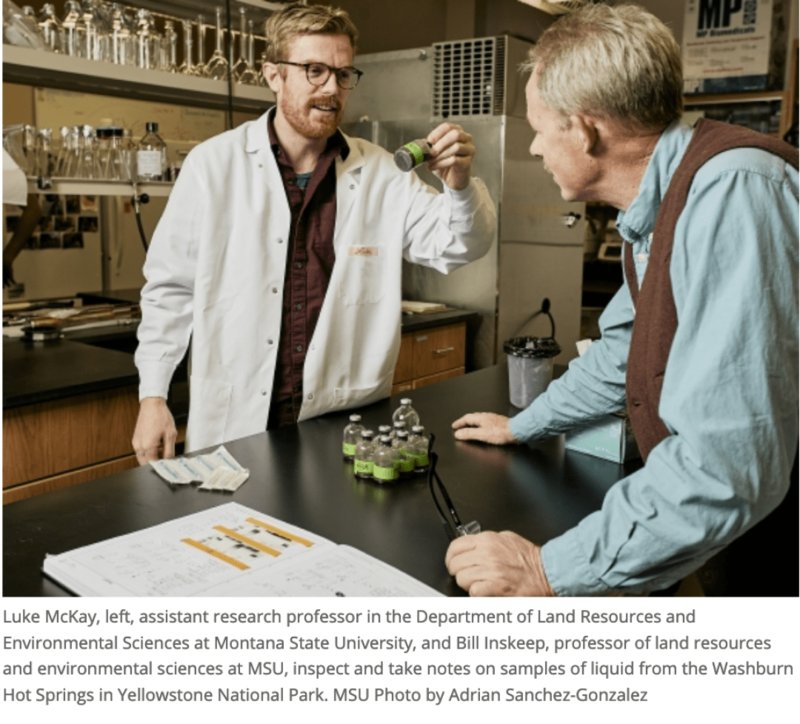 Montana State University scientists said in their recent paper in the journal Nature Microbiology that the unusual microorganism has the genes necessary for two types of metabolism. One produces methane while the other uses different forms of sulfur to produce sulfide. Neither involves oxygen. "That's a big deal. This is the first microbial population to be described that has both of these abilities. We show that methane oxidation may be coupled with the reduction of sulfite, which represents a previously unreported metabolism for life," said lead author Luke McKay, an assistant research professor in the Department of Land Resources and Environmental Sciences in the College of Agriculture and MSU's Center for Biofilm Engineering. Principal investigator Bill Inskeep, a professor in MSU's Thermal Biology Institute and Department of Land Resources and Environmental Sciences, said the results have implications for the evolution of those traits through the Archaea, one of the three domains of life, along with Eukarya and Bacteria. Archaea describes single-celled organisms that lack a nucleus and which often have complex metabolisms. They have been found living in some of the most extreme environments on Earth. The newly described organism, called Methanodesulfokores washburnensis, is believed to be a modern relative of an obscure group of microorganisms that lived around the time life began on Earth. That group, known as the Korarchaeota, might have been a very early branch in the tree of life. It is a subgroup of Archaea, one of the three domains of life. The other domains are Bacteria and Eukarya, the latter of which includes humans and animals. Inskeep and former doctoral student Zackary Jay, another coauthor on the paper, extracted DNA from the sediments of Washburn Hot Springs in 2012. The specific pool lies near the base of Mount Washburn and measures about 25-by-100 feet across. It averages 149 to 158 degrees Fahrenheit and contains high concentrations of methane, hydrogen, carbon dioxide, sulfide and sulfate. "It's an ominous looking pool,” Inskeep said. “I wouldn't want to fall in." On the other hand, McKay said, "This is an important environment with relevance to early life." The Washburn Hot Springs, named after early Yellowstone explorer Henry D. Washburn, contain an interesting mixture of chemical ingredients that make the site extreme, Inskeep said. That, in fact, may explain why scientists didn't discover the Methanodesulfokores earlier somewhere else in the world. "Washburn is extremely unique on the planet," McKay said. "The geochemistry of the spring makes it like a window into ancient environments on Earth. That's exciting because it provides a glimpse of the conditions that early microorganisms may have experienced after the origin of life, 4 billion years ago." McKay came to MSU in 2015 with a particular interest in research that might relate to the origin of life. He acquired a postdoctoral fellowship through the NASA Astrobiology Institute. Besides studying the extremophiles of Yellowstone, he has studied microorganisms that live in extreme environments all over the world, including Antarctica and the hydrothermally active Guaymas Basin in the Gulf of California. More recently, McKay was one of nine scientists featured in the science documentary, "The Most Unknown,” which is available on Netflix. He said he is especially interested in carbon and energy sources in microorganisms that might be important in early life. To come to the conclusions that led to the Nature Microbiology paper and a related paper in the same issue, McKay worked with scientists from MSU, the University of Chicago, Indiana University and the Marine Biological Laboratory in Woods Hole, Massachusetts. His MSU collaborators, in addition to Inskeep and Jay, were Mensur Dlakić, an associate professor in the Department of Microbiology and Immunology; Matthew Fields, director of the Center for Biofilm Engineering and a professor in the Thermal Biology Institute and the Department of Microbiology and Immunology; and Korinne Klingelsmith, an undergraduate student majoring in biochemistry and microbiology. Dlakić used the largest super computer in Montana — the research computing cluster at MSU called Hyalite — to analyze the newly described microorganism and find its position in the tree of life, Inskeep said. "That kind of analysis helped us say that the genes for methane metabolism in this newly described organism might have been important in early members of the Archaea," McKay said. Besides publishing their paper in Nature Microbiology, Inskeep and McKay are coauthors of a second manuscript in the same journal. That paper was written by Guillaume Borrel and Simonetta Gribaldo from the Pasteur Institute in France. In it, the scientists elaborate on the diversity and distribution of methane metabolism in the Archaea. They also introduce several new lineages that contain genes for methane metabolism. Some of the microbial sequence data used in that study is from the same sample taken from Washburn Hot Springs and was sequenced by the Department of Energy-Joint Genome Institute in Walnut Creek, California. "Collectively, these findings have big implications for the evolution of methane and sulfur metabolisms and their potential importance in early life," McKay said. Montana based concert promoter Logjam Presents has begun construction on a new 1,500 capacity venue in Bozeman, Montana. The state-of-the-art facility will be located at 506 Seventh Avenue in Bozeman’s midtown district. The name of the new venue will be the ELM. Continuing its reputation of redefining the live music experience, the Logjam team has designed the ELM to create a world-class experience for artists and concertgoers. “Through the experience of Logjam with its other owned venues -- the Top Hat, the Wilma and the KettleHouse Amphitheater -- we have learned that the esthetic and functional design is an integral part of the concertgoer experience. We feel our investments in acoustic treatments, production capabilities, functional design and the overall architectural statement are critical success factors of a world-class venue,” says Checota. Construction for the new venue will begin on Monday, March 4, 2019, with a grand opening of the ELM scheduled for winter 2020. To stay current on venue updates and event announcements, patrons can sign up for the Logjam Presents newsletter on logjampresents.com (direct link) and follow @elmbozeman on social media (Facebook, Instagram, Twitter). For interviews and press inquiries, please contact Nick Checota at nick@logjampresents.com or by phone at (406) 544-7440. Additional images available upon request. Logjam Presents is a independent, Montana-based venue operator and promoter of entertainment events and private functions. The Missoula-based owners of Logjam Presents own the 1,500 capacity Wilma, the 4,500 capacity KettleHouse Amphitheater and the 600 capacity Top Hat Lounge -- all three venues located in greater Missoula. Logjam is also the exclusive promoter for the Missoula’s 10,000 capacity outdoor stadium Ogren Park. With an exclusive focus on the Montana music scene, Logjam Presents is committed to creating a world-class customer experience in state-of-the-art venues. For more information visit www.logjampresents.com.